Office Mural — Greene Design Co.
Moving to the new Pixl Graphx office was pretty exciting — a new building with new opportunites. 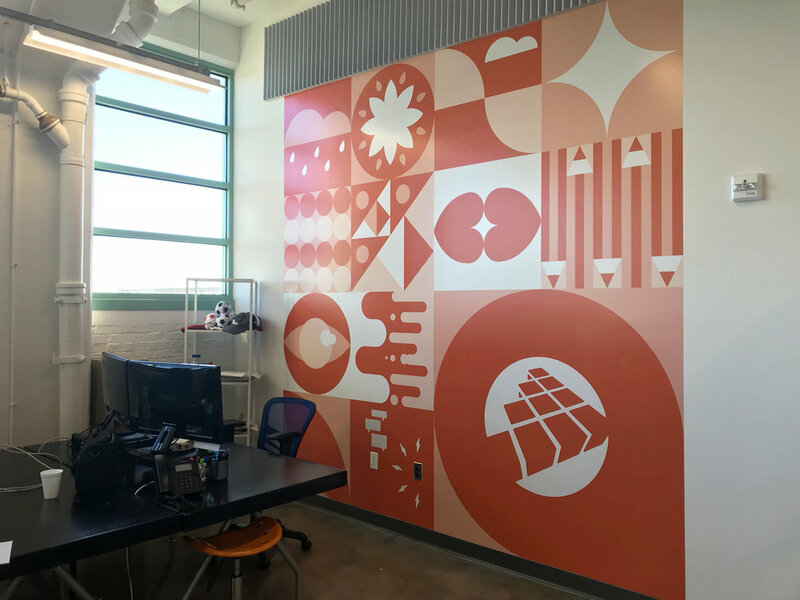 We wanted to truly make the space our own, so I created this 10’ x 10’ square mural against the far wall. My favorite part is the bolt illustration around the electrical outlet.